This Wine Wednesday is not so much about a certain wine, but rather an interesting recent observation about what to serve with wine & cocktails. On my recent NYC trip with friends, almost every place we wined or dined offered deviled eggs on the menu to have with drinks. This is not a new concept by any means, but I did find it interesting at how often they were on the menu, almost everyplace offered them. For which I/we were elated. A deviled egg might just be one of the more perfect cocktail foods–delicious, filling and interesting visually. We tried them often, with many to most times, the eggs were served on a bed of arugula, as pictured. The above image from Tipsy Parson. 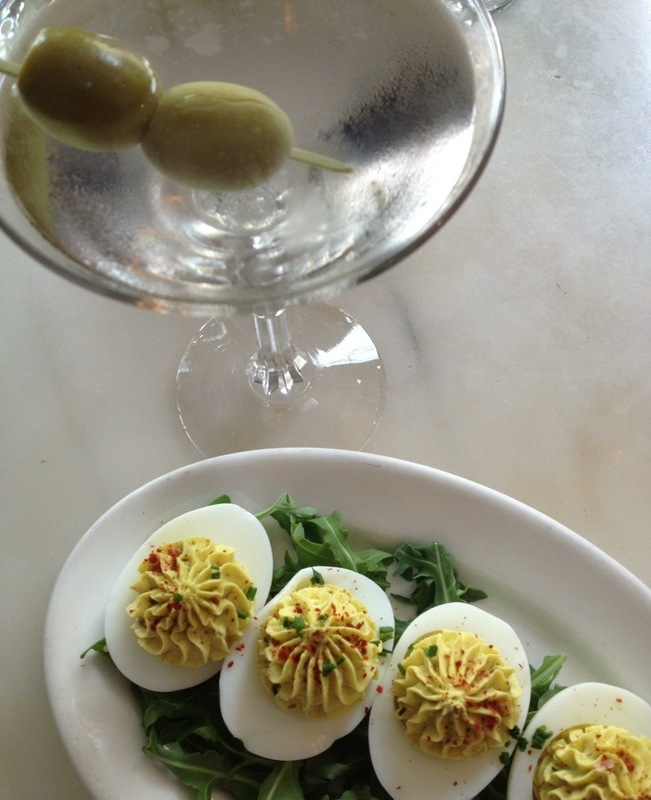 When in doubt or looking for a new option with cocktails, you just can’t go wrong with a deviled egg.